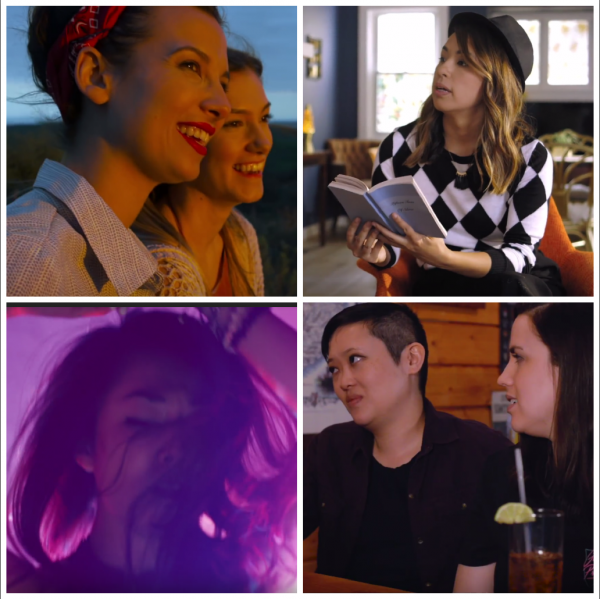 Webseries are a great way to get lost in some lady-loving-lady focused content. 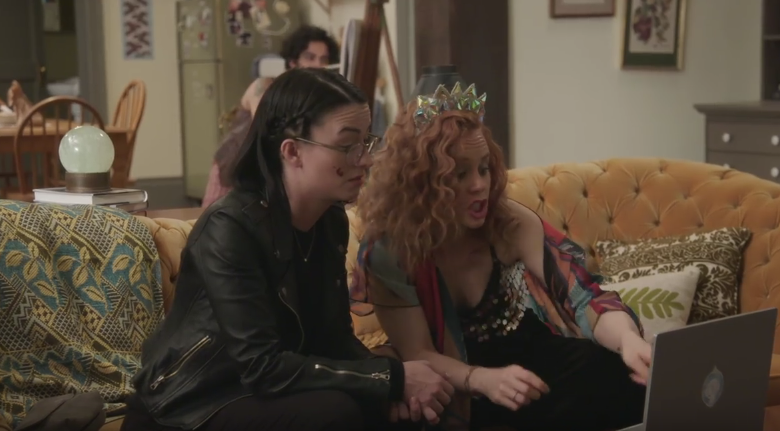 A lot of webseries are a real time commitment, with season length equaling full-length movies. However, there are also some wonderful short and sweet webseries that you can watch in the time it takes you to eat your lunch, do a load of laundry, or just chilling before bedtime. Unfortunately Ashley: Made by Buzzfeed Violet and starring Ashly Perez, Ashly is a bit of a lovable mess, trying to navigate crushes, unexpectedly taking care of a teenage cousin, and handling plain ol’ life. Both seasons come in at around an hour so you are good! Kait and Nic: Real life besties Kaitlin Krieg and Nicole Lee play versions of themselves in Kait and Nic, a short four episode (so far) series. Kait and Nic try to find love in NYC, but it’s even more of a challenge when they keep getting in their own way. It’s Complicated: Skye (Devin Drain) and Lance (Jordan Mitchell Love) used to date, but now they are just friends and roommates, and Skye turns to him for guidance when she realizes she might just be into women. Season 2 ups the production value big time, switches up the game with a focus on Alex (Samantha Gabrielsen), and is also under an hour. Project Inferno: Starring Nadia Mohebban and directed by Amanda Holland, this Girl Ship TV series plays in easily digestible episodes, with the full season fitting easily into a lunch break. Mohebban plays Emily, a lab tech who experiences strange new powers after an earthquake. That’s My DJ Season 2: Created by D.W. Waterson, each season of TMD stands alone, so you can watch S2 on its own if you like. Meghan (Emily Piggford ) loves the ladies as much as she loves checking out new DJs. The worlds collide when she meets Hannah (Dayle McLeod), an up and coming DJ. You’ll see lots of familiar faces in this series if you are a fan of Canadian TV. Gal Pals: Bee (Katie Lynn Stoddard) and Olivia (Skarlett Redd) are best friends and roommates looking for love in LA. While Bee tends to go after unavailable women, Olivia is petrified of her crush on downstairs neighbor Edison (Katy Erin). I fell down a massive YouTube hole one day and fell into That’s My DJ. I liked it. Also can’t seem to let go of Twenty.